It was the grown up women that dominated the Logies 2017 fashion. This is what the grown up women wore to the Logies last night. Take a look at most red carpet coverage and it’s easy to assume that it’s purely the domain of the young. The Logies last night gave us definitive proof otherwise. Lisa Wilkinson, Kerri-Anne Kennerley, Virginia Trioli, Claudia Karvan… just a few of many women we couldn’t get enough of. They may not have all walked the red carpet but they brought serious style to TV’s “night of nights”. Oh, and they all just happen to be the other side of 40. Invisible women? Far from it. Forget boring black - there was colour, there was tulle, there were sparkles and above all, a total disdain for any style &apos;rules&apos; often imposed on women when they reach "a certain age". 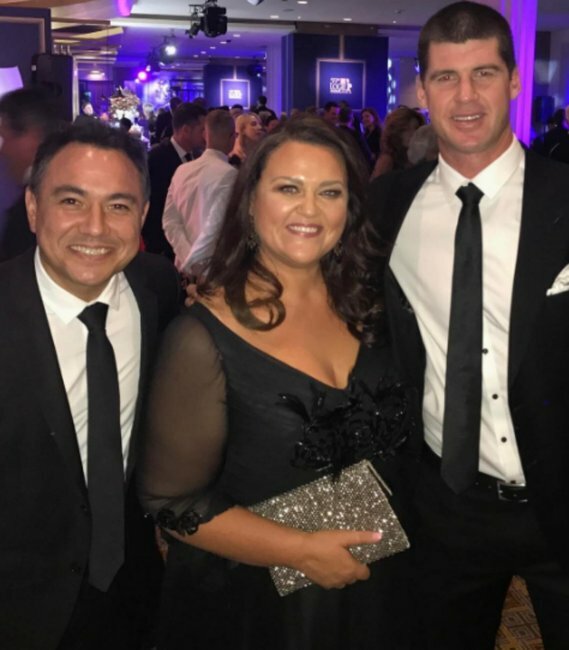 Listen: Laura Brodnik, Holly Wainwright and Monique Bowley bring you the cheats guide to last night&apos;s Logies. Post continues after audio. Boy, did the anarchy look good. While there was a diversity of trends, there was one particular style that dominated - sleeves. But we&apos;re not talking dowdy, frumpy or anything designed to hide (although they can do that too if you&apos;re so inclined). In fact, if anything it was about standing out for all the right reasons. Think bedazzled sleeves a la Lisa Wilkinson, Debra Lawrance&apos;s chic shawls, dramatic capes inspired by Sonia Kruger and Kylie Gillie&apos;s fancy off-the shoulder designs with delicate sheer sleeves - a great way to expose a little bit of skin without baring all. And if you really want to do sleeves? Pull a Jessica Rowe and go the whole hog with some oversized bell sleeves to make the &apos;70s jealous or be Sandra Sully and wear literal angel wings. 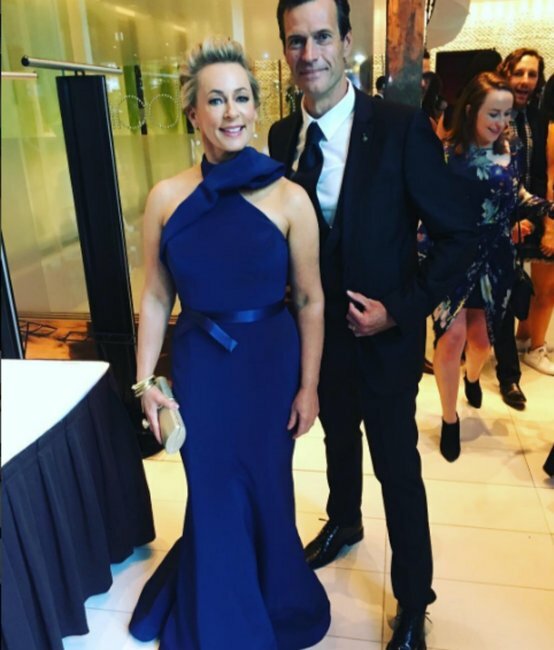 Because we know that all you really want to do is flick through a bumper album of Logies fashion while you pretend to "work", here&apos;s a round up what all the grown up women wore last night. You&apos;re welcome. A bold lip for a bold woman. Sales told Mamamia the colour in question is Stila Stay All Day Liquid Lipstick in Amore, $35, and it&apos;s "the bomb". We quite agree. It adds a slightly vampier twist to the 43 year-old&apos;s eggplant-coloured tulle strapless dress and statement earrings. The Hollywood-esque tousled lob from makeup artist Christopher Sall finishes the look off perfectly. Wearing a custom CRISTAHLEA metallic draped gown, the 45 year old looked like a chic, sparkly Grecian goddess. The pinky-purpley colour was bang on trend and the shimmery detail looked heavenly in photographs and real life. The hair. The earrings. The neckline. That COLOUR. It was an all round winning ensemble for the 52 year-old ABC News Breakfast host. 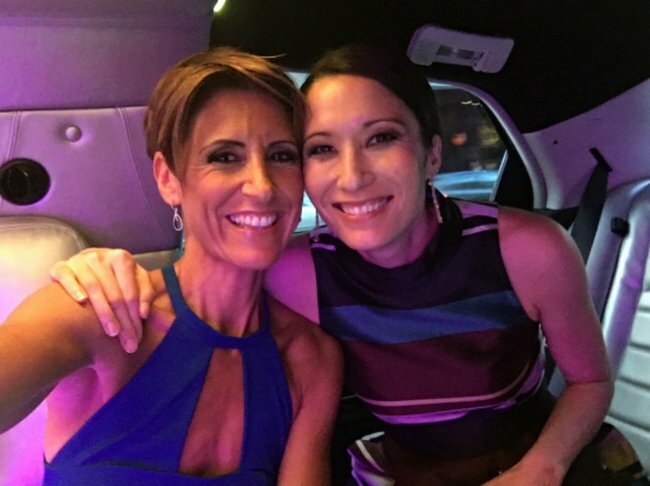 If you&apos;re not as keen on exposing your arms but don&apos;t want to completely cover up, take a leaf out of 45 year-old&apos;s Claudia Karvan&apos;s nature-inspired book and go mesh. The overlay over a slinkier slip is a great middle ground. Oh, and some sparkly birds never hurt too. The 44 year-old&apos;s fuschia Cappellazzo Couture number not only looked amazing, it delivered the funniest part of the night when she presented with Peter Helliar and spoofed the now infamous #JacketGate. The style trick we&apos;ll be stealing? The colour contrast with the turquoise earrings. Can the Today Show host do any wrong? We don&apos;t think so. Wearing another bespoke creation from Capellazzo Couture, the 57 year old also did a great twist on sleeves with a bedazzled neckline and delicate sheer sleeves. Dreamy. 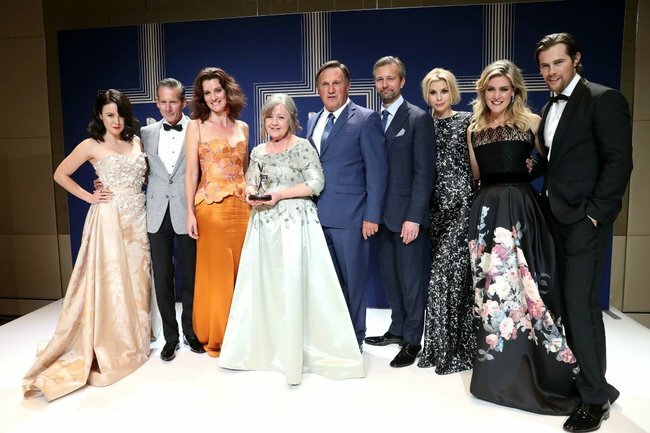 Not only was the Please Like Me star an actual Logie winner for Most Outstanding Actress, the 60 year old is also a winner for her chic take on the shawl, tying a printed silk scarf over her sleeveless dress. Who needs a necklace anyway? One word: BOOM. The 45 year old looked incredible in a black velvet Elle Zeitoune dress with a super flattering neckline and short sleeves. See plenty more in the gallery below. The 2017 Logies red carpet looks you might not have seen. Ita ButtroseStudio 10 panelist Ita Buttrose, 75, channels her best salsa dancing lady emoji - and nails it. Also note the sheer short sleeves and bright red rather than black. Kerri-Anne KennerleyFeathers, sheer cut outs and diamontes - nothing is too much for the 63 year old. Natarsha BellingSleek with a little bit of something-something with the ruffled neckline, the 41 year-old&apos;s burgundy number is one of our favourites. Jessica RoweIf you&apos;re going to do sleeves, do it like the 46 year old. The bell sleeves look dramatic and "so hot" right now. The whimsy design is so Rowe, we love it. Sonia KrugerCaped sleeves are a great option for those conscious of their arms OR those that feel the cold plus they look good too, as demonstrated by the 51 year old in Balmain. Chrissie-Swan-Logies-2017-dressThe 43 year old knows the power of a LBD. Again, sheer mid-length sleeves! Image: Social. Amanda-Keller-logies-2017-dressThe detailed high neck on the 55 year-old&apos;s dress makes a halterneck far more flattering while the colour is a fab alternative to black. Watch out - we&apos;ve got a fashion revolution up our sleeves. Here&apos;s hoping other red carpets follow the Logies lead. 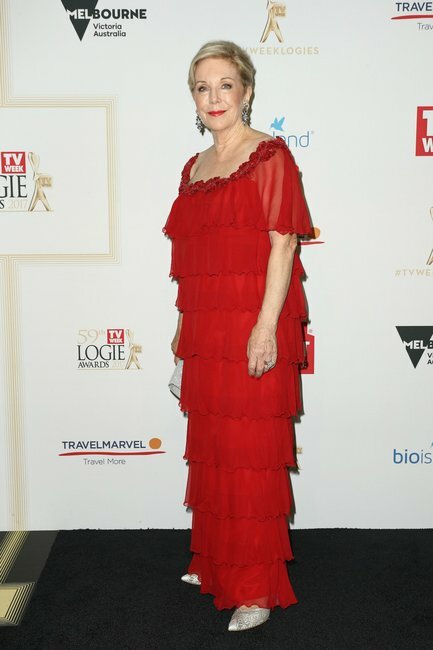 What did you think of the Logies fashion last night?